Here’s some interesting stats…. According to the Jacksonville Business Journal, Canadians accounted for 39% of all international buyers of property in Florida during 2010… That’s $4.9billion worth of property purchased by Canadians. Wow, we must have a lot of snowbirds here.! Or maybe we just have a lot of investors? Perhaps it’s is a combination of the two. One thing is for certain, Canadians like Florida… It certainly has become a popular investment for many. Who wouldn’t want a sunny getaway in Florida? The ads are everywhere…condos starting at $30k… houses that once sold for $600k are now selling for $225k. Clearly, Canadians see Florida as a bargain. And maybe, just maybe, Canadians aren’t getting into debt for frivolous reasons?… Maybe we are borrowing with these record low interest rates to invest? Maybe those stats and articles that keep telling us we should be concerned with the ‘high personal debt levels’ of Canadians, are not a true reflection of our spending habits…?? 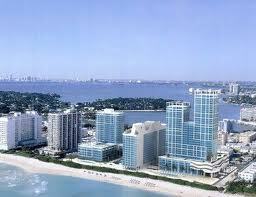 Most Canadian buyers of Florida property are obtaining loans from a Canadian bank. Borrowing from a Florida bank isn’t easy these days. That’s why many Canadians will refinance their homes and use the equity to buy their Florida property. Previous Previous post: BIG BANKS need your help for higher profits! !